Spires of blazing flowers through the summer. Magical and unique, Flower Power' is a sensational buddleia. 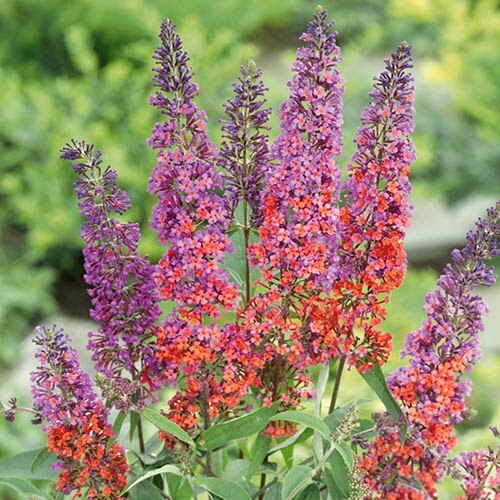 Spires of blazing flowers transition from orange to purple all summer. 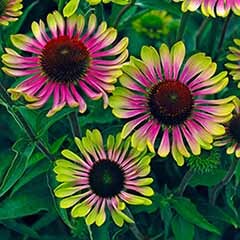 Relatively compact, hardy and very easy to grow. 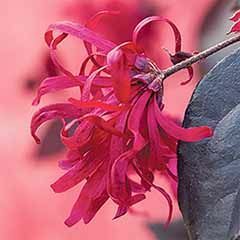 Also known as the butterfly bush, butterflies are drawn to it. 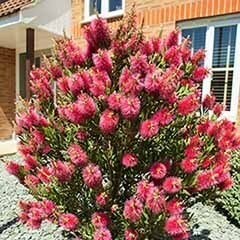 Supplied as 3x plants in 9cm pots, and ready to flower every year and for many more years to come. 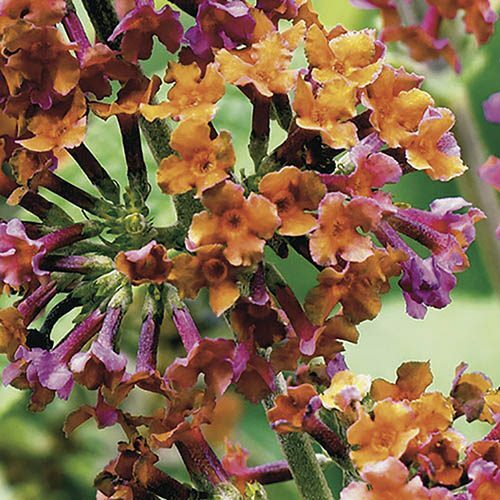 Introducing this magical and unique Buddleia, 'Flower Power', a sensational breakthrough in colour breeding that has taken years of dedication from plant breeders to produce. 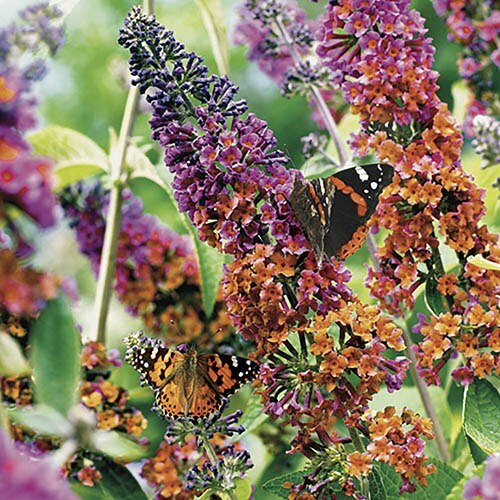 The first hybrid Buddleia between normal types, and a yellow flowered species, it has gorgeous colour changing spires of blazing flowers which transition magically from orange to purple through a spectrum of vibrant shades. 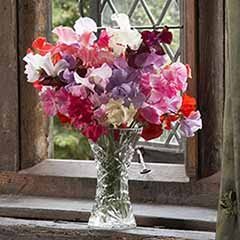 Relatively compact, hardy and ver easy to grow, its multicoloured displays of colour and sweet scent will last all summer long - the bees and butterflies will love it!! 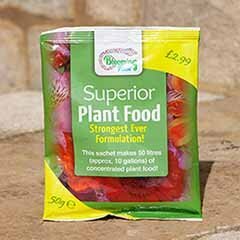 Perfect for the novice gardener as it is virtually maintenence free - a quick prine in the sping i all that is needed. 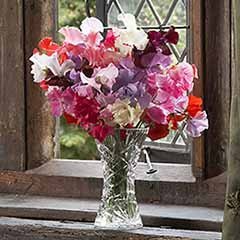 The plants are supplied in 9cm pots and well established, ready to flower every year and for many more years to come. 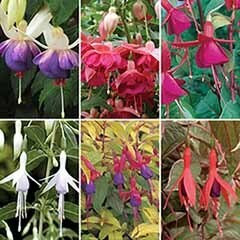 Grow in full sun, or light shade, it is not fussy about soil types, and is very winter hardy. 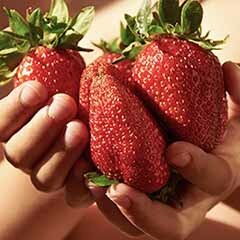 Will reach 1.2m in 5-7 years. 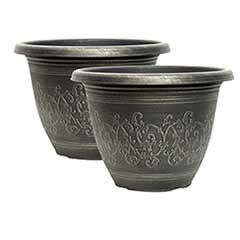 Supplied as a set of 3, 2 year old plants in 9cm pots, ready to plant at any time. 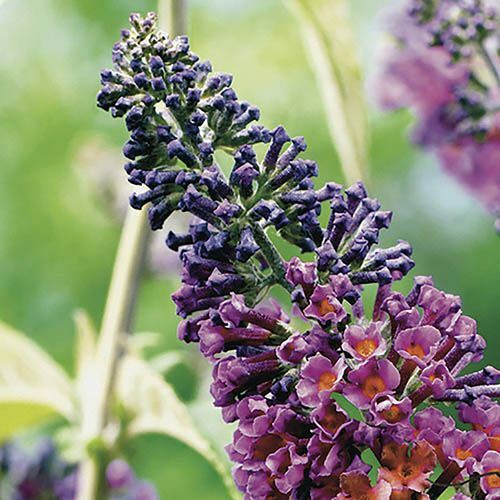 Buddleias flower on new growth and will tolerate hard pruning - in early spring, when no frost is forecast, cut stems down to a around 30cm (1ft) and you'll be rewarded with larger flowers. 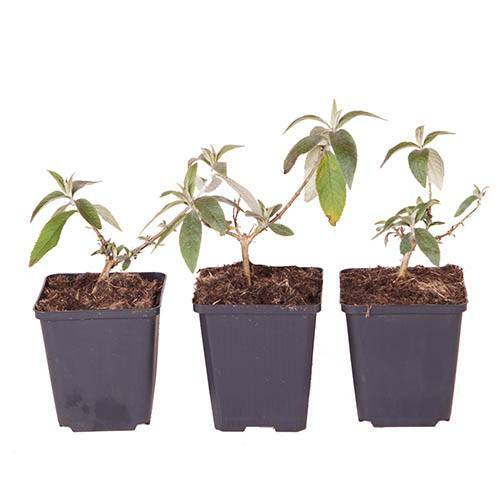 Plant buddleias from late spring, as soon as the soil has had a chance to warm up. 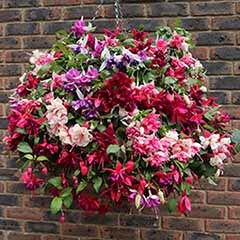 Container-grown plants can be planted right up to early autumn. 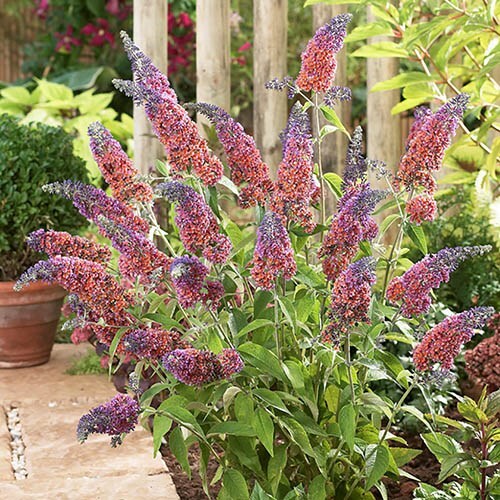 Buddleias perform best in a sunny position in well-drained soil, although will tolerate most conditions apart from wet, heavy clay. 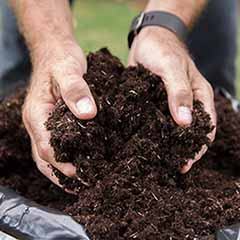 Mulch with manure in autumn or add a general purpose fertiliser in late spring to improve the number of flowers. Deadhead buddleia as the flowers fade to encourage a continuous supply of flower and take off every spent flower at the end of the year to prevent unwanted seedlings as plants are prolific. 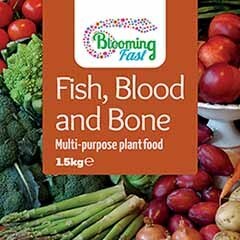 Great plants and seeds, speedy delivery. 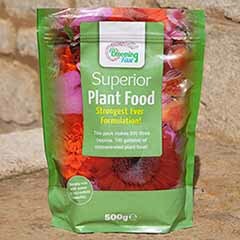 Lovely strong plants, properly packed and delivered. Very pleased with the overall service. 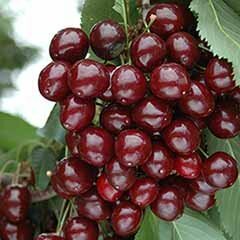 Good and healthy looking plants. 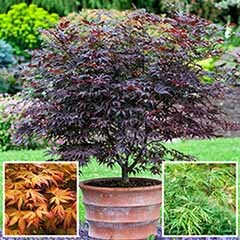 Sturdy plants, very well packed, and appear to be thriving.